The so called « CNRS partner » actually comprises members of the Centre National de la Recherche Scientifique (CNRS) (National Centre for Scientific Research) and of the University Pierre and Marie Curie, grouped into the same functional laboratory named “PHENIX”. CNRS is a government-funded research organization under the administrative authority of French Ministry in charge of research. 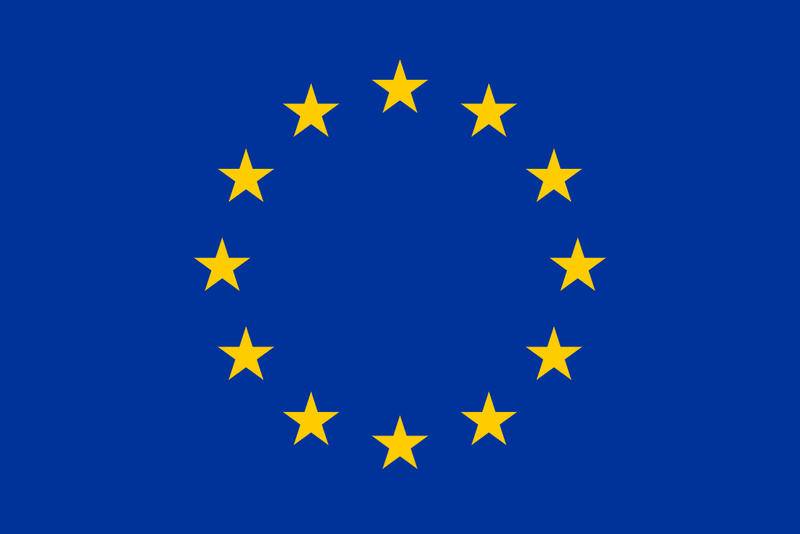 It is the main fundamental research organization in Europe with 1200 laboratories. University Pierre and Marie Curie is a Science and Medecine university, the largest in France with more than 100 laboratories. Both institutions are largely involved in national, European, and international projects covering all fields of knowledge. PHENIX lab (PHysicochimie des Electrolytes et Nanosystèmes InterfaciauX) associates physicists and chemists around physical-chemistry studies on charged colloidal systems, among which magnetic ones. It has a large experience on ferrofluids, which began with the synthesis in water of iron oxide nanoparticles pioneered by R. Massart around 1980. This new process opened the way towards ionic aqueous ferrofluids. The control and study of these ionic ferrofluids is a know-how of PHENIX seldom found elsewhere in the world. The technique was extended more recently to other polar solvents and to ionic liquids. The researchers involved in this project gather a large spectrum of complementary skills from the design and structure of ferrofluids to the determination of their dynamical properties under temperature gradients (Soret effect). Moreover, PHENIX is one of a handful of research laboratories in the world today who is equipped with two in-house built Rayleigh Forced Scattering devices for Soret effect measurements. PHENIX is an internationally renowned lab where a wide variety of skills on ferrofluids is concentrated. PHENIX will bring force to the project via the design of well-controlled dispersions of new kinds of ferrofluids and via thermodiffusion studies in such systems to help identify the key parameters governing the phenomena. An efficient collaboration between PHENIX and CEA-SPEC (partner 1) has been established over the past several years. PHENIX is mostly implicated in the design of IL based ferrofluids (WP2) and in the thermodiffusion of magnetic nanoparticles in ferrofluids (WP3). 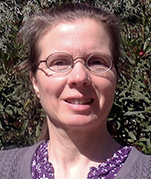 Emmanuelle Dubois DR at CNRS since 2010. She received her PhD in Physical Chemistry 1997 under the direction of R. Massart (LI2C-UPMC). She spent one year as a post-doctoral researcher at LLB/CEA-Saclay with F. Boué and has received her habilitation degree (HDR) in 2007 from UPMC. She is a specialist of physical-chemistry of charged colloidal systems, working on the ferrofluids design in various solvents including ionic liquids and the structure and dynamics of colloidal dispersions and clay systems by scattering techniques (neutron, X-rays). Co-author of more than 80 scientific articles. Régine Perzynski Full Pr. University of Pierre et Marie Curie (Paris, France) since 1996 – Has completed her PhD thesis in Solid State Physics in 1984 under the direction of P.G. de Gennes (SRM/CEA-Saclay). She is a Soft Matter specialist and is currently working on ferrofluids and complex magnetic media, in particular with respect to: physical-chemistry (structure and transport properties), magnetism and magneto-optics, micro- and macro-rheology, surface phenomena and applications. She will act as the PHENIX correspondent in MAGENTA (more than 170 publications). Véronique Peyre Asst. Pr. 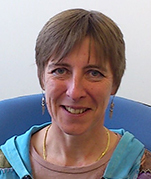 UPMC since 1998 – has received her PhD in Physical Chemistry in 1996 under the direction of L. Belloni (CEA-Saclay). 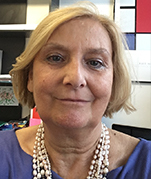 She has spent one year as a post-doctoral researcher in Pavia-Italy with R. Piazza and has received her habilitation (HdR) degree in 2008 from UPMC. She is a specialist of the auto-organisation properties of surfactants (micelles, membranes), scattering techniques (light, neutrons, X-rays) and the physical-chemistry of charged colloidal systems working on the design, synthesis and colloidal stability of ferrofluids in ionic liquids (23 publications). Guillaume Mériguet Asst. Pr. 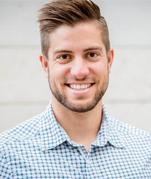 UPMC since 2006 – Has received his PhD diploma in Physical Chemistry in 2005 under the supervision of P. Turq (LI2C-UPMC) and has spent one year as a post-doctoral researcher at EPFL (Switzerland) with Pr. H. Girault in 2006, and a 6-month sabbatical in KTH (Sweden) with Pr. I. Furó in 2013. He is a specialist of charged colloidal systems, working both experimentally and numerically on the interactions and dynamics of colloidal dispersions through the determination of their Ludwig-Soret and thermo-diffusion coefficients using Forced Rayleigh Scattering (34 publications). Gilles Demouchy Asst. Pr. at University of Cergy-Pontoise since 1994. He has received his PhD diploma in Physics in 1992 under the direction of A. Mysyrovicz (LOA ENSTA-Ecole Polytechnique). 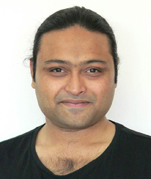 He is a member of PHENIX laboratory (UPMC). He is a specialist in optics and Ludwig-Soret effect in ferrofluids. 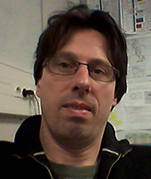 He develops the experimental Force Rayleigh Scattering optical setup used for the thermo-diffusion and mass diffusion coefficient determination and analyses the data (18 publications). 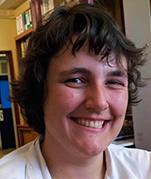 Amandine Anfry technical staff at UPMC since 2013 – has acquired the techniques associated with the physical-chemistry studies undertaken within PHENIX. She will contribute to the research through several kinds of such measurements (chemical titrations, osmotic compressions, quasi-elastic light scattering characterizations, etc.). She will also oversee the secure management of chemicals and materials in the team. 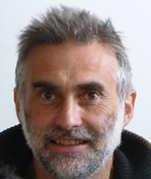 Frédéric Gélébart is a CNRS research engineer in mechanical design and instrumentation since 1999. From 2005 to 2015, he designed the RIXS spectrometer of beamline GALAXIES of the French Synchrotron SOLEIL with an emphasis on micropositionning and optomechanics. Since June 2015, he is a member of PHENIX laboratory where he develops instrumentation and controls for the magnetic and optical experiments. He will design the high temperature cells for the optical thermodiffusion measurements. 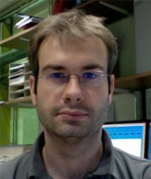 Jesse C. Riedl PhD student at CNRS since 2017. He received his Bachelor of Science in Materials Science in 2015 (Technical University Darmstadt, Germany). In 2017 he received his Double Master Degree in Chemistry and Engineering of Materials, Nanomaterials and hybrids under the direction of J. Rocha (Universidade de Aveiro, Portugal) and in Materials Science and Engineering (INP Grenoble, France). He is working on the ferrofluids design in various solvents including ionic liquids and the structure and dynamics of colloidal dispersions by scattering techniques (neutron, X-rays). Author of 2 publications.